Japanese rock music has raised names larger than Gods and their fandom grows like ivy. GUILD is the New Age uncut diamond, discovered in 2006 under the ground of the ancient imperial capital of Japan, Kyoto. It was only to carve music forever that Ryuichi, Yoshihiro, Kohichi and Takuma joined the Guild. Their youth, their originality, to the day made the transition from graphite to the most stable form of precious gem. This is GUILD: the gilded beautiful visual kei band, at odds with the snob hunting society. Yoshihiro delivering hiss riffs to defy the lights in their tyranny and the unique voice of the aristocrat Ryuichi tolls on, his vibes throng to drown the quavering treble’s passionate flow. GUILD saw excitement now reaps power. In February bassist Riyo decided to leave the band and was replaced by Takuma on concert on 12th February at Kyoto MOJO. On 25th March second CD “Just take your heart / Get back” was released. On 29th April third CD “約束 / Tell Me Why” was released. On 30th April the first one-man live “Burning LIVE 2010 #1” was held at Osaka LIVE SQUARE 2nd LINE. On 29th May “Sole Survivor / Party” & on 20th June “Departure / Sky blue” were released. On 1st October first album “GUILDED” was released and on the same date they started their first European tour. In this year the band was chosen to release 12 consecutive months a song on dwango.jp. On 20th April was releASED “Spring EP 2011～La Primavera～” – first maxi-single of the band and first from the “Season maxi-singles series”. It reached 35th place on Oricon Weekly Chart. On 3rd July was released the first DVD “Burning Summer Tour Final in Harajuku ASTRO HALL 2011.9.24 『Burning LIVE 2011 #8″ 』”. On 13th July second maxi-single “Summer EP 2011～L’Estate～” was released and reach 29th place on Oricon Weekly Chart. On 12th October third maxi-single “Autumn EP 2011～L’Autunno～” was released and reached 24th place in Oricon Weekly Chart. 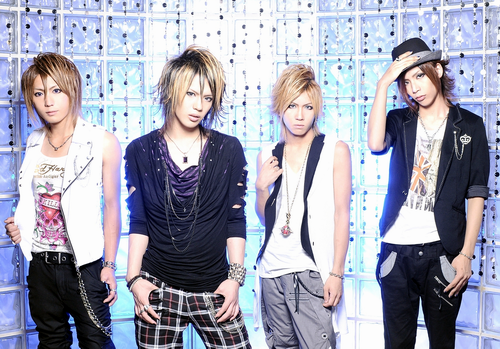 In November 2011 they participate in cover compilation “CRUSH!2-90′s best hit cover songs-” covering a song by SIAM SHADE – “Gracial Love”. 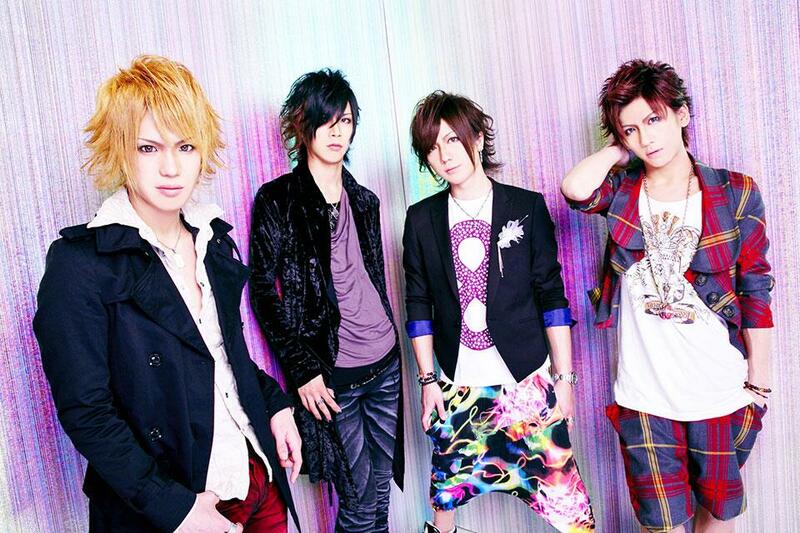 On 25th January 2012 they released the final season maxi-single “Winter EP 2011 ～L’Inverno～” and made 2012 “Go! Go! Year”, which means that they have to get more than 5500 fans in their lives, to get more than 5500 sales for a CD and to have lives in 46 prefectures (excluding Okinawa). If they achieve this they will held “Okinawa live&Okinawa fans tour”, but if they can’t do it – then they’ll be dismissed from the company. On 5th May 2012 they released best album “THE BEST GUILD” including their most popular songs and 1 new song. On this day they made exclusive daily ranking on dwango.jp – from 1st to 20th place 16 songs was by GUILD. On 23th May was released again cover compilation “Counteraction ―V-Rock covered Visual Anime songs Compilation―” in which GUILD covered “the World”- song originally by Nightmare. On 27th June was released compilation “Crush! 3-90′s V-Rock best hit cover LOVE songs-” in which participate only Yoshihiro with session band CRASH49 (vo. Mitsu from ν［NEU］, gt. Yoshihiro from GUILD, gt. Aki grom -OZ-, Karin from NoGoD and dr. Hiroki from D). On 11th July they released their second DVD – “ギルド Burning LIVE 2012 #14 at SHIBUYA O-WEST 2012.5.19″. New single “I’ll be there for you” was released on 24th October 2012. On 7th December new DVD “Burning LIVE 2012 #20 at Shinjuku BLAZE 2012.9.28″ was released. In the end of 2012 it was confirmed that they made it to success. Concert in Okinawa was set for 13th January 2013. GUILD started 2013 with new challenge. This time the mission is titled [“Reckless desire of 1/10000” oneman tour 2013!]. They should gather 0.01% (12000 people) inhabitants of Japan on their concerts through 2013. In February was announced that new DVD will be released on 13 March 2013 – GUILD GOGO Year -Thank you Final one-man tour- “I’ll be there for you” at umeda AKASO 2012.12.26. From March was started new project in dwango.jp for releasing new songs in 7 consecutive months, in reference of “Reckless desire of 1/10000″ oneman tour 2013!”. On 1st May euclid agency finally opened official page of the band in Facebook. On the same date was also released new DVD, named “GUILD One-man live “Burning Valentine” at Shibuya O-EAST 2013.2.10″. Through the year and during the nationwide tour Kohichi and Takuma also made a video series, named “Kohi walk” – in this video they were visiting a specific place in the city they perform (mostly restaurants). At the end of the year when the end of the tour came, it was reported that GUILD managed to gather 16218 people, which means that they successfully ended the challenge. Also, after the end of the project of releasing new songs in 7 consecutive months it was chosen (from their fans) that the song “Yuuwaku Rhapsody” will be released as a single on 1st January 2014. 7 consecutive months released songs – Cinderella, Hoshi ni negai wo, Sayonara, CARAVAN, Yuuwaku Rhapsody, Planetarium & ABC.